Conveniently located centrally in Somerset West Col'Cacchio offers its little guests the perfect setting for a stress free birthday bash, the astro covered party area includes pizza decorating for each of the little ones attending the party and a 'live' view of their pizzas being prepared in the outdoor pizza oven. The Col'Cacchio party venue in Somerset West also includes seating for the adults at the party, an assigned waiter and access to the Col'Cacchio menu. 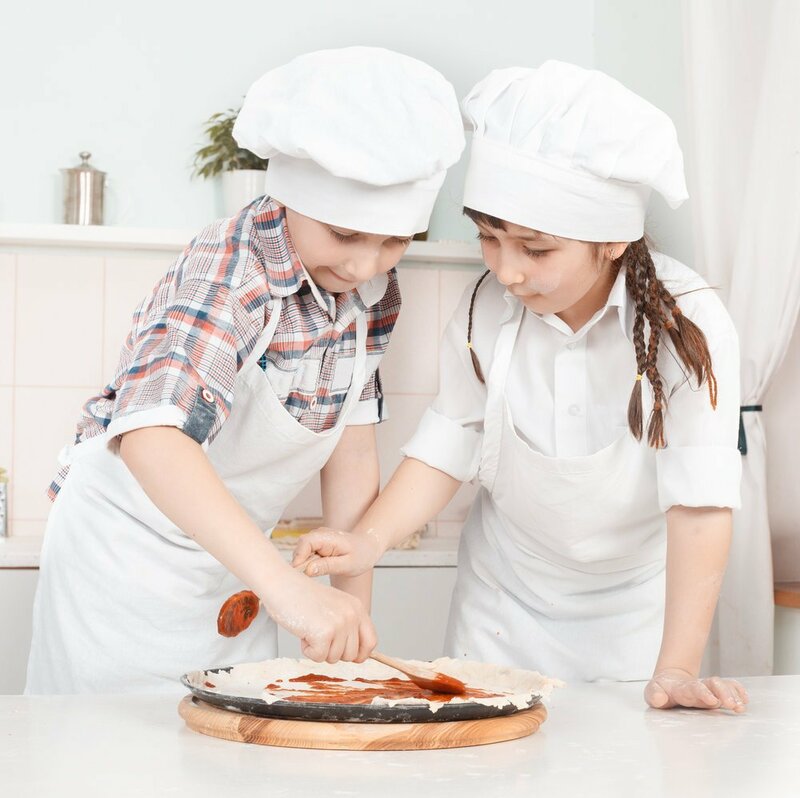 On the day of the party each child receives: A flat pizza base to decorate, all ingredients, pizza dough to play with and bake, rollers and shapes to use on the day as well a Chefs hat. All enquiries regarding food and drinks are to be made directly to Col'Cacchio using the contact details in the booking confirmation you receive. All tabs for food and drinks are to be arranged directly with Col'Cacchio prior to your event and settled on the day of the booking. *No outside food or drinks are allowed to be brought into the venue with the exception of a Birthday Cake and / or cupcakes. Looking for entertainment at your venue? Check out our recommended entertainment package for Col'Cacchio. Our party entertainment package has been picked to perfectly suit the Col'Cacchio party venue, it is 2 hours of active party entertainment, run by 2 entertainers and includes; balloon art, face-painting and a 30 minute interactive magic show. On your little one’s big day our entertainers will arrive 15 minutes prior to the start of your event to set up their stations and make sure everything is in place before your guests arrive. While the guests are entering the party our entertainer's will start with the fun off with our signature face-painting, and awesome balloon art. After this the Pizza making and decorating begins which the entertainers will help facilitate and assist the children with. While the pizzas are being baked in the outdoor pizza oven Bazinga's rocking magician entertains the kids with 30 minutes of action packed magic. When the little ones have had their handcrafted pizza's the staff will help round them up to sing Happy Birthday for the Birthday child.